Summary: This tutorial aims to show you an effective way to transfer videos between Android phone and computer. So if you are a fan of recording videos, you've come to the right place. And if not, you can also see this article as a tutorial in case you need. Then how to perform this transferring process effectively and effortlessly? It won't be difficult- MobiKin Assistant for Android (Win & Mac) can help you to achieve this goal easily. Part 1. How Can This Program Do for You? How Can This Program Do for You? It is powerful, right? Just download a version that matches your computer to have a try first. But here we recommend you to choose the Windows version since we are going to present the steps of the Windows version. How to Transfer Contacts from Android to PC/Computer? Step 1. Connect your Android phone to the computer and enable USB debugging if you haven't done this before. For different Android operating systems, the steps are as follows. 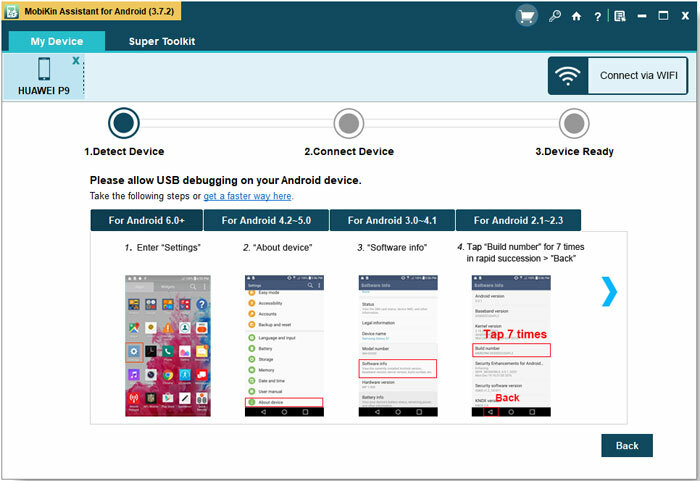 - For Android 2.3 or earlier: Enter "Settings" < Click "Applications" < Click "Development" < Check "USB debugging". - For Android 3.0 to 4.1: Enter "Settings" < Click "Developer options" < Check "USB debugging". Step 2. Then tick "USB debugging opened" and click "Next" to start to install USB driver on your computer. When the detection of your Android phone is finished, the window like this will pop up. As you can see, the data and information of the cell phone are displayed on top of the window. Step 3. Now you can click the ”Videos" folder in the left panel to locate its contents to the program. Then you need to tick the videos you like and hit the "Export" button to sync the videos to computer. Step 1. 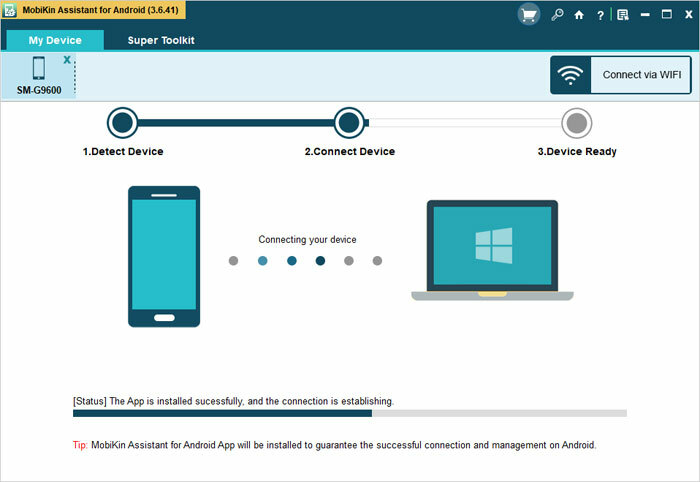 Establish a connection between your Android phone and computer with a USB cable and then launch the software on your PC. And also, you need to open USB debugging on your phone and download USB driver on your computer here. Step 2. 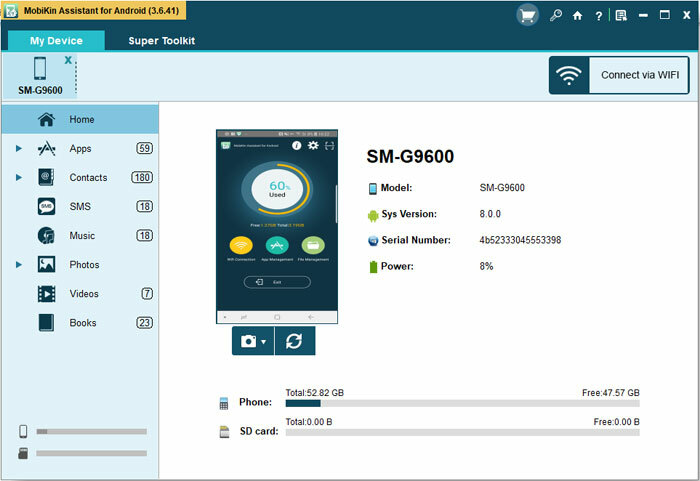 After that, the tool will detect the connected phone automatically. Once the detection ends, you will get the main interface of this program. Step 3. Next, you can tap on the "Videos" category in the left pane and tap on the "Add" button in the menu. This will bring up your file browser window. Step 4. In the window, you can select the wanted videos and finally tap on "Import" button to transfer the files from computer to your Android phone. Certainly, apart from videos, you can also transfer contacts, SMS, images, music or other files from/to Android phone with this tool. So don't hesitate! Just download the software to have a try! How to transfer videos from Android to Android? [Solved] How to Transfer Text Messages from Android to Computer/PC? [4 Ways] How to Fix LG G5 Cannot Turn on Issue? What to Do If YouTube Video Cannot Play? Dropbox vs Google Drive vs OneDrive- Which is Better? What to Do If I Cannot View Pictures in Android Gallery? How to Turn Android Phone into Mobile Hotspot?